A double whammy of summer tennis starts this Sunday with Wimbledon, swiftly followed by the Olympic tournament in the same place. If you're itching for a spot of serve and volley action but lack an opponent to play, the Olympledon Sports Day includes a charity tennis tournament to satisfy your competitive urges. Indeed, as Rafa and that are otherwise engaged, Guatemala's former junior champion, Julio Vielman will be taking part. If he knocks you out early then slope off and nurse your wounded pride in the pool or sauna, or any of the David Lloyd sports facilities. Then, feeling virtuous and exercised, chow down at the evening BBQ and hope you're a winner, at least in the raffle. The Olympledon Sports Day is a fundraiser for Marketing for Change, "a non-profit student organisation of ESCP Europe Business School marketing students that helps communities recognize and act on self-sustainable market opportunities." Tickets for the Sports Day, entry to the tennis tournament and evening BBQ are £55. If you'd rather just kick back, swim, steam, work out, watch the tennis and mingle at the BBQ, those tickets are £35. Deadline for purchasing tickets is Wednesday 20 June - book now. 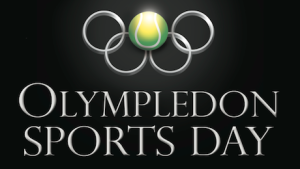 Olympledon Sports Day takes place at David Lloyd Finchley on Saturday 30 June between 2-8pm.